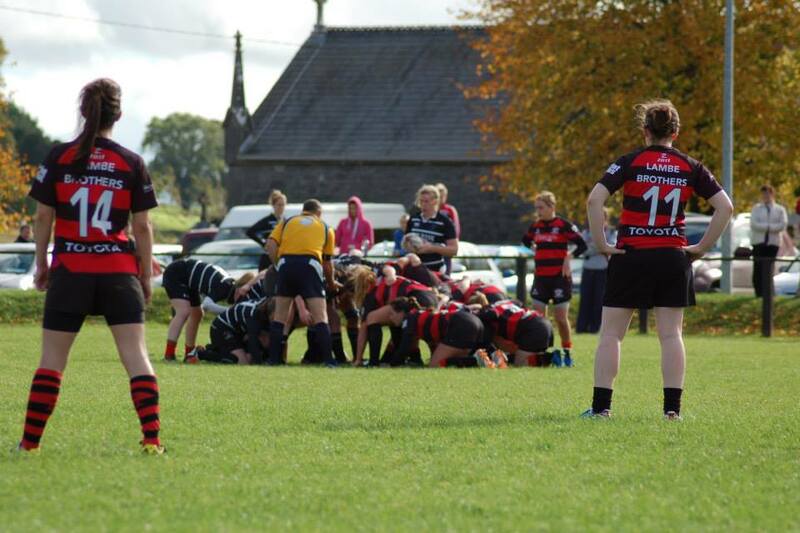 Tullamore Womens Rugby got their Leinster League campaign back on track with a determined victory over Kilkenny in wet and blustery conditions. It was a team effort all round with the ladies showing real character to put last week’s narrow loss behind them. Tullamore decided to play with the wind in the first half in the hope of building a lead. The first 10 minutes proved to be a cagey affair with both sides sussing each other out. The score Tullamore needed to settle into the match came after a Kilkenny error allowed Lauren Keenahan chase the ball downfield. This resultant passage of play ended in a penalty that Jill Draper coolly slotted over. Tullamore furthered their dominance in the second quarter with two further penalties from Jill to leave the score at 9-0 at half time. With a nine point difference, the feeling at half time was that it was going to be a very tough half defending the lead playing into a strong wind. 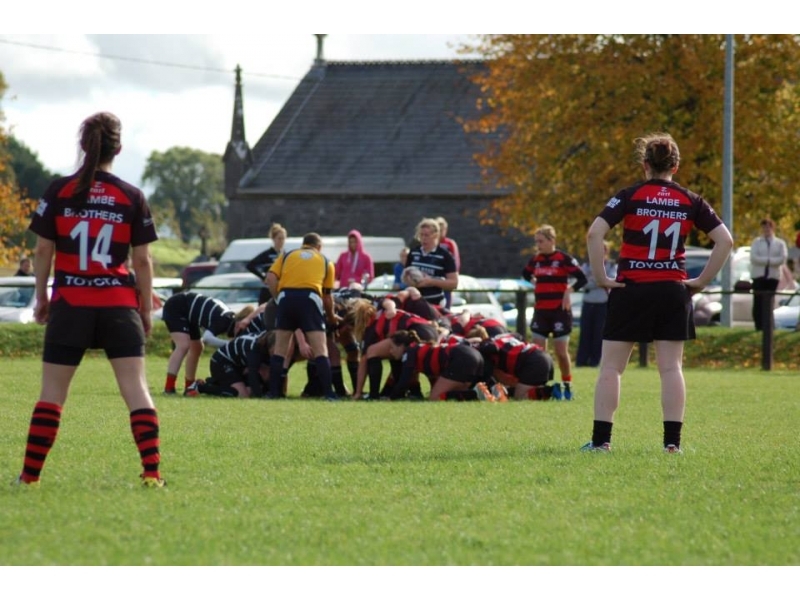 What transpired was an assured and confident display from the Tullamore ladies. The ladies mixed strong ball carrying with some very assured passing to really stretch the Kilkenny defence every time they had the ball. Players like Ciara Neville, Chloe Lowry and Nichola Fryday were to the fore in this regard, and it was noticeable how well backs and forwards combined to create space around the Kilkenny defence. To their credit, Kilkenny continued to play some good, attacking rugby and were rewarded with a very well taken try from their speedy winger to leave the score at 9-7 at 60 minutes. While the gap was minute, the Tullamore women continued their attacking play and were duly rewarded with ten minutes remaining. After numerous phases, Jill Draper made a determined surge for the line only to be held up by the resolute Kilkenny defence. With the referee playing an advantage Tullamore had a penalty on the Kilkenny 5 metre line. Ciara Farrell was the designated go-to girl for the tap and go and she powered her way through the Kilkenny defence to dot the ball down. It was just reward for the Tullamore women who were playing some fantastic rugby. The conversion sailed wide to leave the score at 14-7 with ten to go. It was a frantic last couple of minutes as Kilkenny tried to break the Tullamore defence but strong tackling from the likes of Róisín Feighery, Sarah Coffey and Ann Marie McKeon kept them at bay. The only downside to this fantastic performance was the loss of Patrice Browne to a serious ankle injury and we wish her all the best in her recovery. Tullamore now sit third in the league table and enjoy a week off before taking on Gorey on the 2nd of November in Spollenstown.